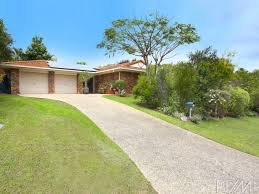 Merrimac is a well established, family friendly, suburb of the Gold Coast. It is located close to both the Pacific Fair and Robina Shopping Centres and also has great access to the M1 motorway. Merrimac accommodates all ages and demographics and Merrimac a great suburb for those residents looking to purchase a property on the Gold Coast, that would like easy access to the heavy rail to Brisbane. Schools in Merrimac are All Saints, St Michaels and the Merrimac Primary School. We have undertaken many pre-purchase building and pest inspections in the Merrimac area. We send out two separate inspectors together to inspect a property. Our building and pest inspectors are highly experienced with vast knowledge in their separate areas of expertise. We provide your written building and pest inspections reports within 24 hours. You can rest assured that both inspectors are fully licensed by the QBCC and have professional Indemnity Insurance for your protection. We service all suburbs of the Gold Coast and we work 100% independently for our customers best interests only. Please read our genuine testimonials from our customers. hard copies are also available upon request. Thank you so much sue for organising the inspection on such short notice, you are a life saver!.. Just Wonderful!